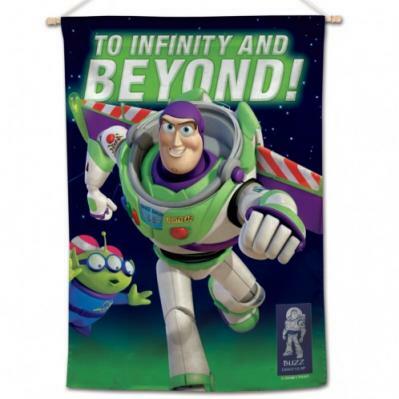 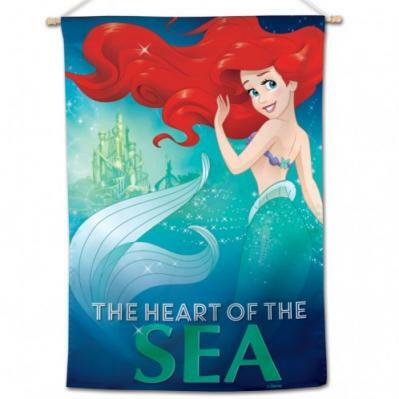 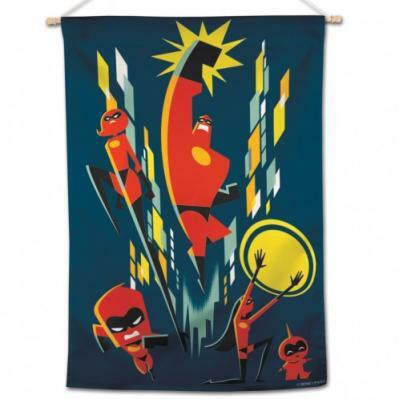 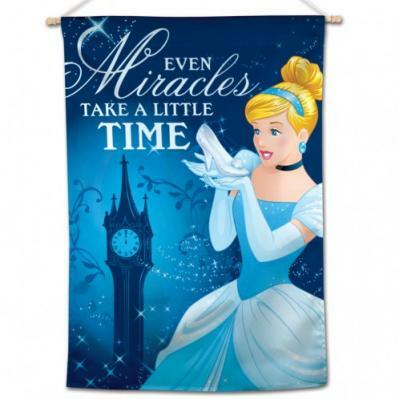 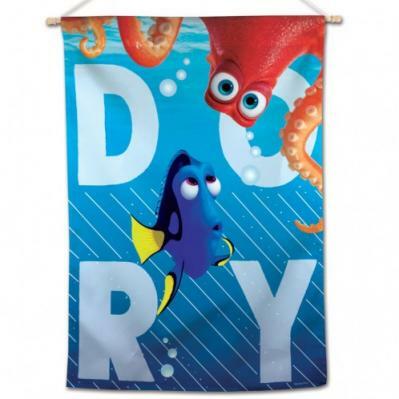 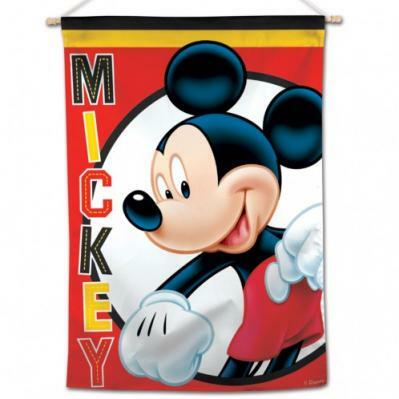 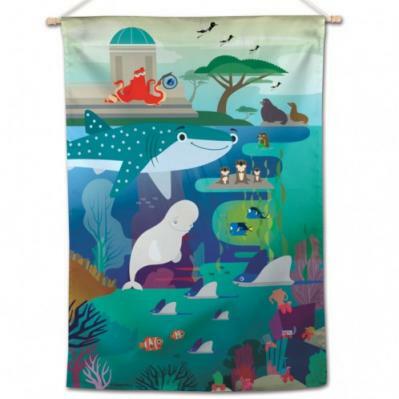 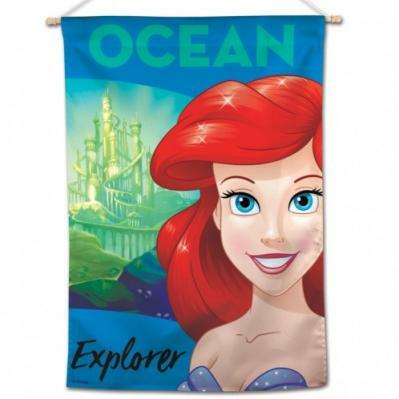 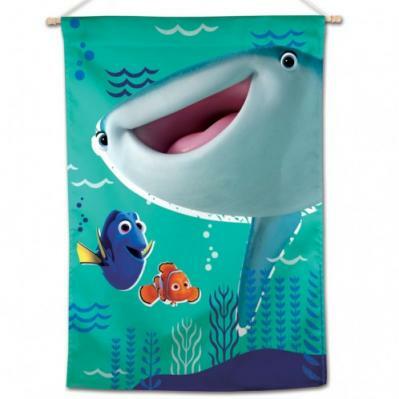 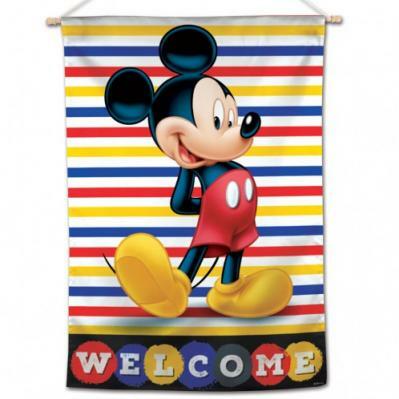 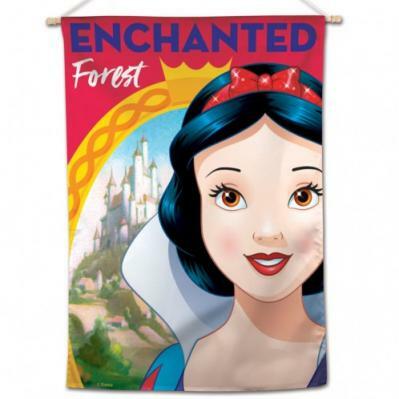 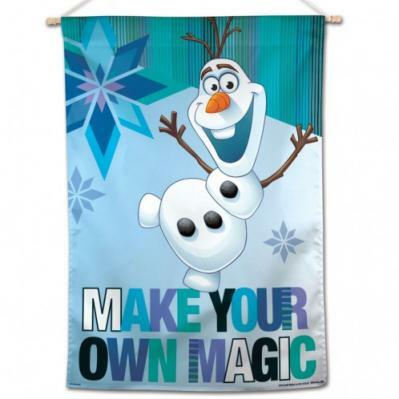 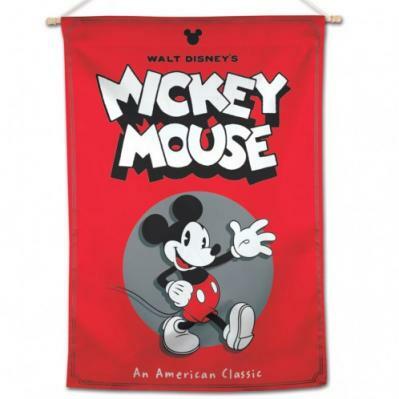 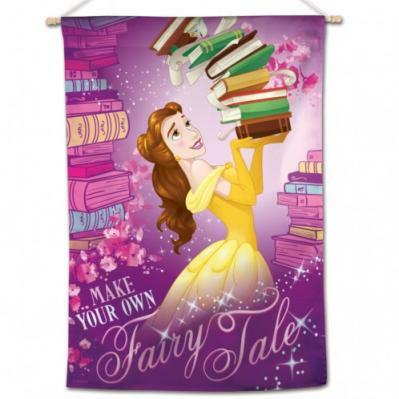 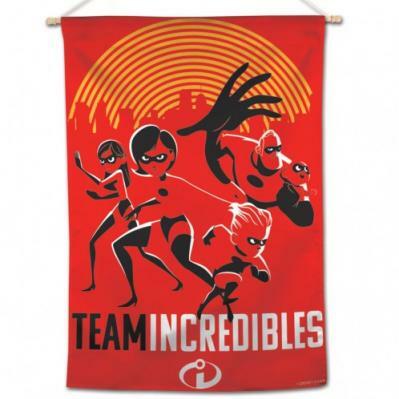 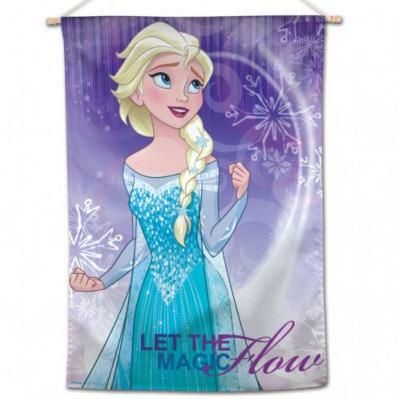 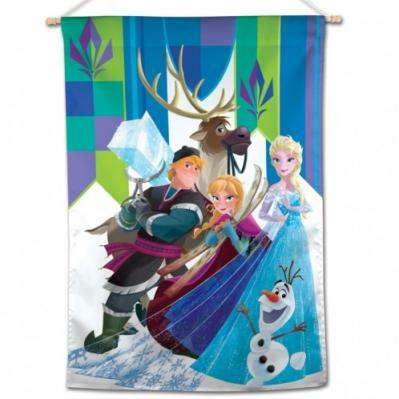 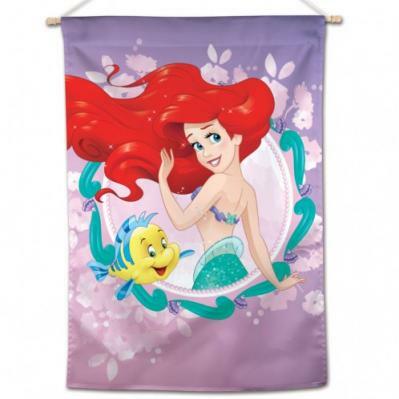 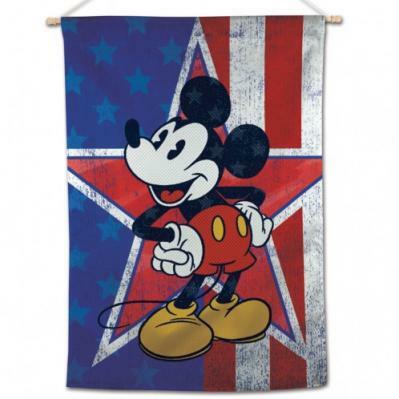 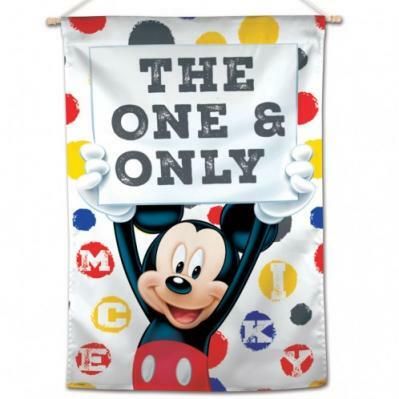 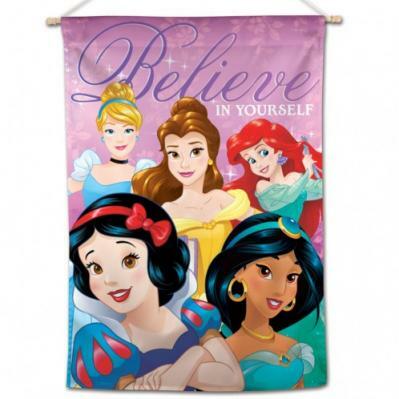 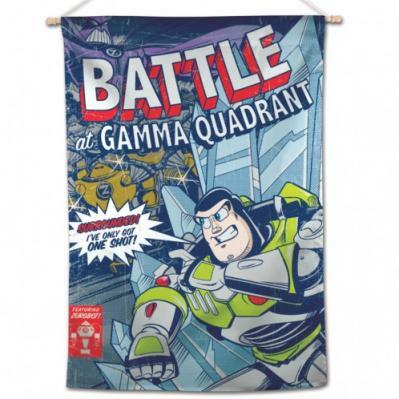 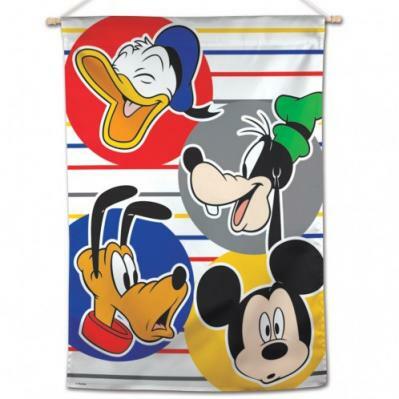 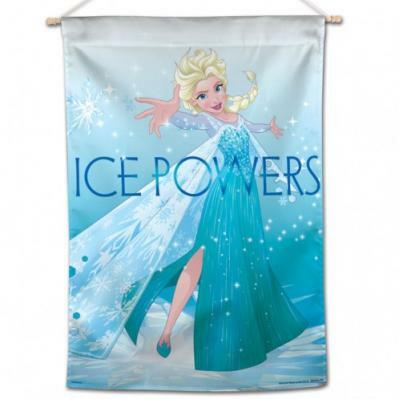 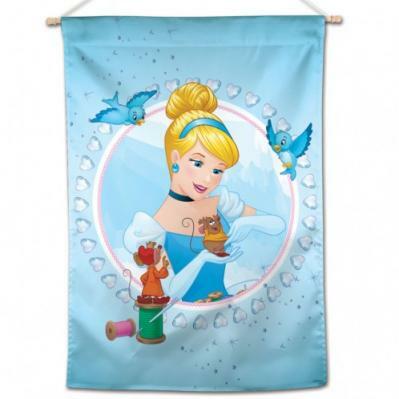 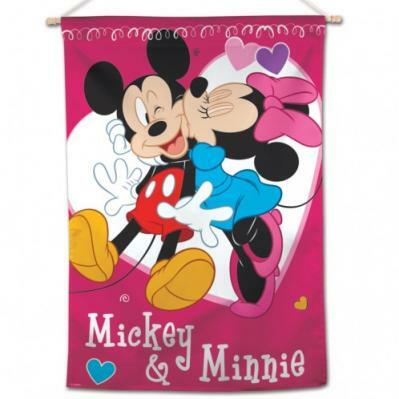 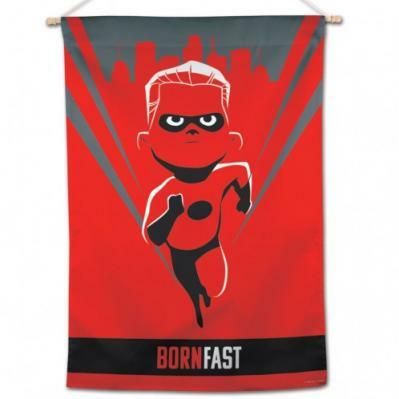 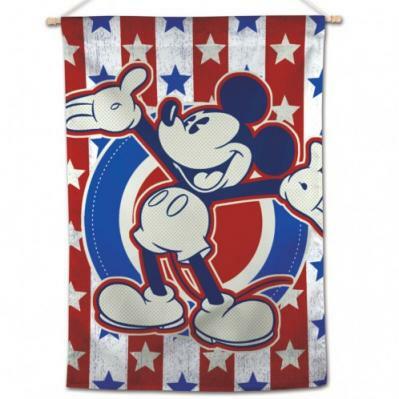 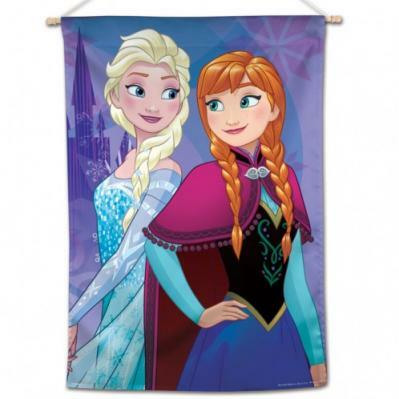 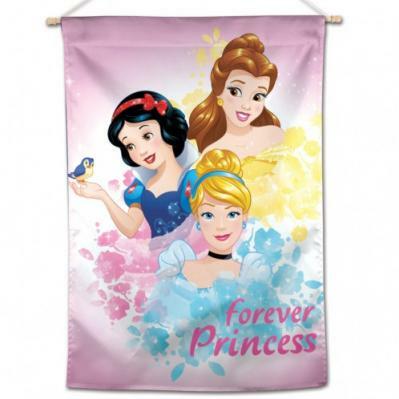 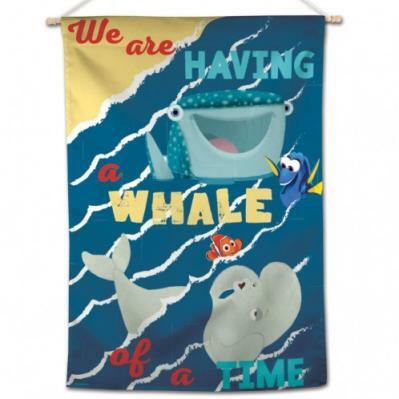 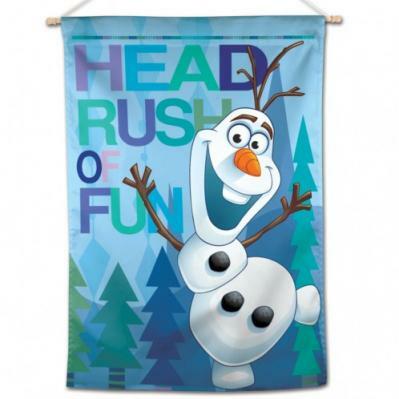 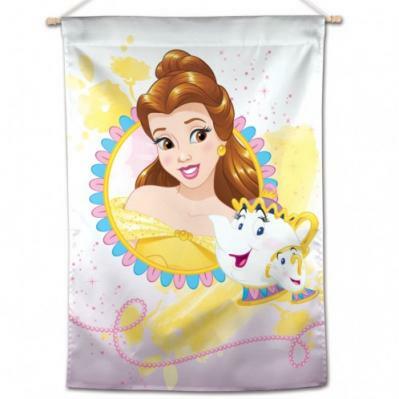 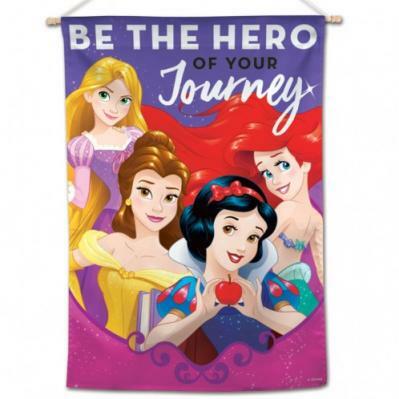 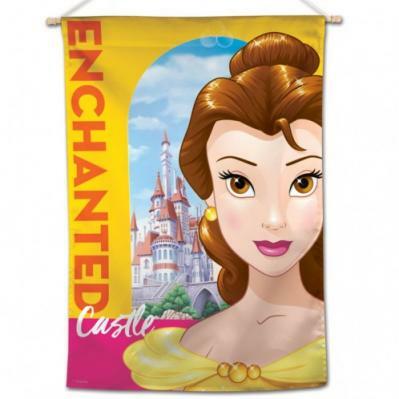 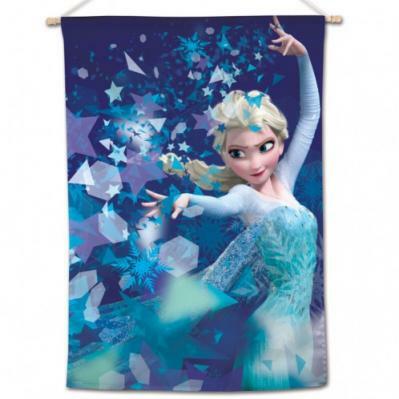 This Officially Disney Licensed 28" x 40" Vertical house flag is made of 100% Polyester Fabric and the image can be seen from both sides correctly. 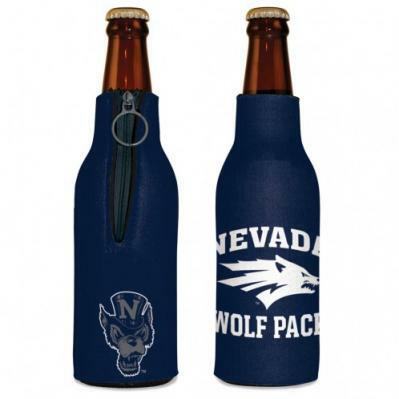 These are finished with pole sleeve and a sewn tab at the top.Perfect for Indoor or Outdoor use. 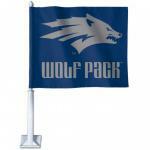 These flags are made to order and take up to two weeks to receive.